Anti-corrosion rollers - series PL/PLF for belt conveyors handling corrosive materials. Shaft diameter: 20 mm - PVC or steel tube with diameter from 89 to 140 mm. In conveyors used to transport very corrosive materials and where difficult working conditions prevail: the extraction industries and in the mining of salt, chemical industries, fertiliser manufacture and in marine environments which require corrosion resistant rollers. 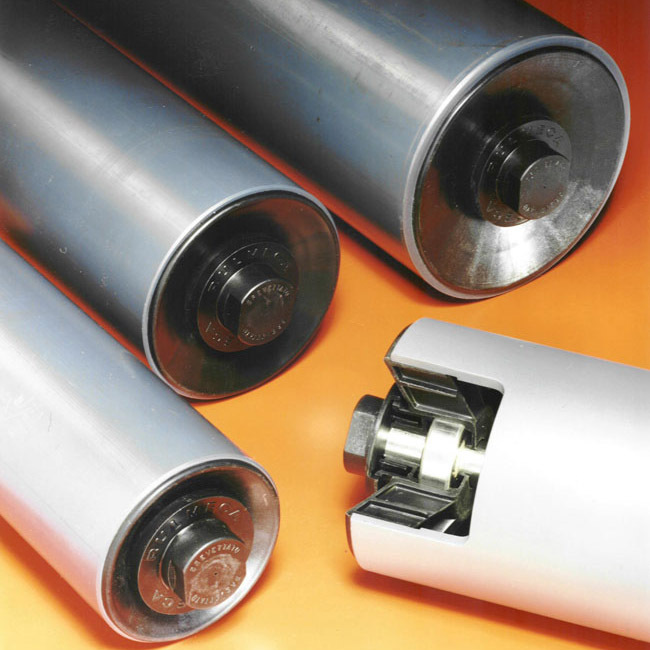 These rollers demonstrate particular resistance to the presence of high humidity and water, and also to corrosive elements present in the environment or in the conveyed material itself. The design of the rollers utilises plastic materials for the most critical parts, which, excellently and economically, substitute for traditional materials such as stainless steel, bronze and aluminium. when one considers their low purchasing and maintenance cost, PL/PLF rollers provide the ideal solution for severe applications.